Recently, comScore released its 2012 Mobile Future in Focus report which examines key trends driving smartphone adoption, mobile media digital consumption, and multiple device digital usage. As the report identifies, the rapid adoption of smartphones and tablets will have an increasingly significant impact on how consumers shop, consume information, and interact with your brand or company. Battle of the Mobile Ecosystems. Over one-half of all new mobile phones purchased are smartphones, and the competition among mobile operating systems will intensify as companies such as Apple, Google, Samsung, Verizon, and AT&T vie for the millions of consumers purchasing smartphones this year. The mobile operating system is a key decision factor, just behind quality of the device, and as Apple and Google (and to a lesser degree Windows) continue to battle it out, marketers need to plan for multi-mobile ecosystems. Tablets are Going Mainstream. As important as the iPad has been to launching the Tablet revolution, the introduction of the lower priced devices by Amazon and Barnes & Noble will likely be seen as the ‘tipping point’. The Kindle Fire and NOOK Tablet offer relatively strong features at a lower price point and will attract hordes of consumers for which the iPad isn’t a consideration. Given that tablets are supplementing and replacing other screens (e.g. computers and TVs), we need to ensure that our digital content and online shopping experiences are optimized for tablets. This Isn’t Your Father’s Sales Funnel. Smartphones are transforming how consumers shop by bringing the collective power and wisdom of the Internet into brick-and-mortar stores. Using their smartphones, shoppers have immediate access to ratings, reviews, and pricing information that wasn’t possible in the past. As marketers, we can’t bury our heads in the sand. Instead, we need to embrace change and provide the tools, functionality, and information our target audience needs when they want it, how they want it, and where they want it. Rise of the Digital Omnivore. According to comScore, “The surging global adoption of smartphones and tablets is changing the how, when and where consumers connect to digital content, creating the most dramatic shift in digital media consumption since the advent of the personal computer”. They refer to this multi-device consumer as the “Digital Omnivore”, and understanding the wants and needs of the Digital Omnivore will be extremely important for us to minimize the effects of disruption and maximize the opportunities, whether it be in an entirely digital or hybrid digital/bricks and mortar world. Mobile Video Takes Off. Driven by faster connectivity (4G and more wireless hotspots), the never-ending supply of apps, and more powerful devices, mobile video will increasingly become an important activity for mobile users. Underscoring the impact of faster connectivity, comScore states that 4G subscribers in the U.S. are 33 percent more likely to watch mobile video on their smartphone than an average user. As such, we need to understand how mobile video factors into our strategy. 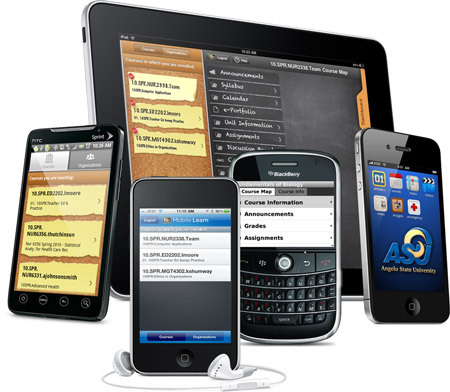 We’ve already started to see the impact of mobile, and 2012 will only increase its significance. What are you doing to integrate mobile into your digital marketing plans?